I had the sad and sudden realization that I hadn't made any pictures lately. Actually it had a been a few weeks since I had even picked up the camera. So I was determined to head out last night after work, and try to get a few pictures of something. I decided to pay a return visit to the old Springfield Bridge, which isn't that far of a drive from home. I drove to Conway and met up with Zack, and we then drove north. The bridge is located near the small community of Bono, which just really consists of a church and a few homes. But it would have been the perfect opportunity to play some U2, but sadly I didn't have the Ipod, or even my Achtung Baby cd, so the opportunity was wasted. What was I thinking? Clearly, it was a lack of planning. At least the camera battery had a decent charge in it. As we got to the bridge, I realized why I hadn't been out to take any pictures lately. It's because it's summer in Arkansas. It was about 94 degrees, with high humidity. So that meant that after a few minutes of being outside, I was already drenched in sweat. Actually saying "drenched" is putting it lightly. It was more like someone took a bucket of sweat and dumped it over my head. 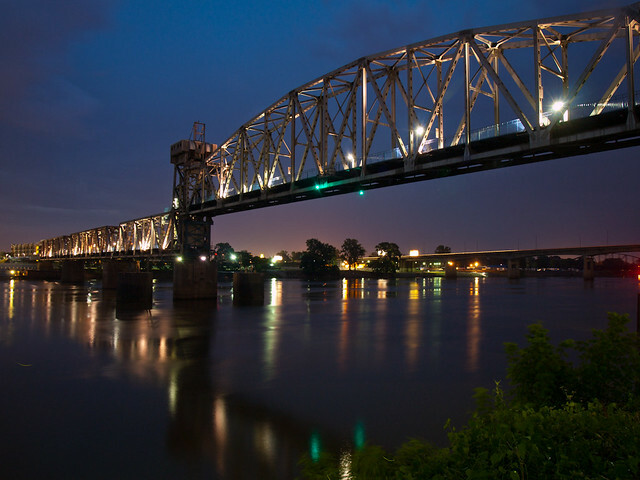 And with that lovely mental image, I present instead this shot of the bridge. 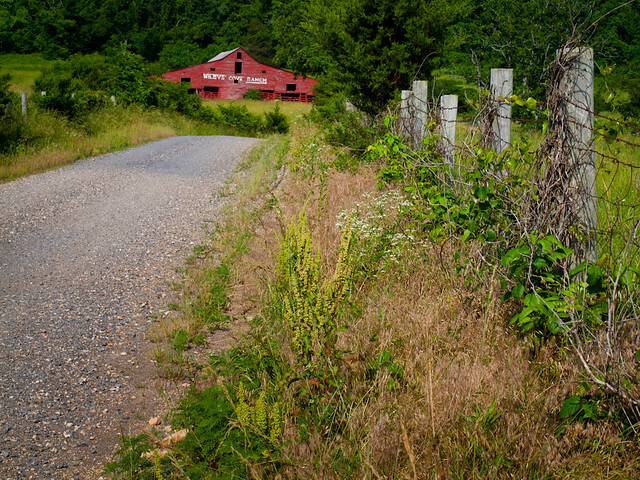 It is really a neat place to go and get pictures of, even in the summer heat of Arkansas. The bridge is old - actually it's the oldest vehicular bridge in the state. It was built way back in 1874. 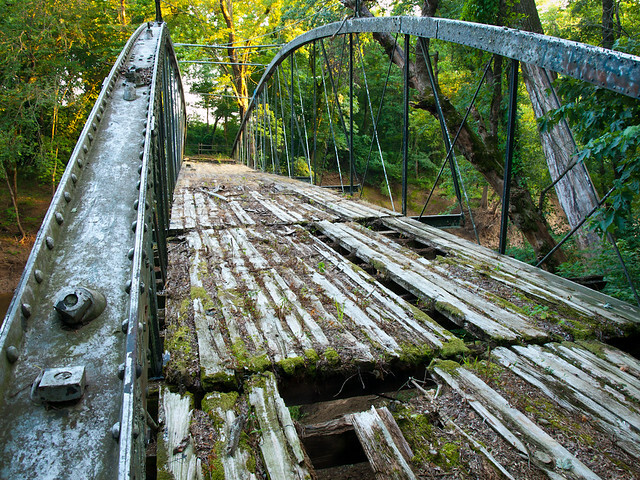 It served traffic for over a hundred years, before being replaced by a new bridge just upstream in 1994. After that the old Springfield bridge was abandoned, and left to rust and decay. To visit it now, you have to very carefully make your way onto the bridge. Several of the wooden planks on the deck are gone, leaving deep holes. Most of the remaining pieces of wood on the bridge deck are severely rotten, which makes trying to cross the bridge very nerve-wracking. I could easily imagine the boards I was walking over suddenly and without warning breaking apart. 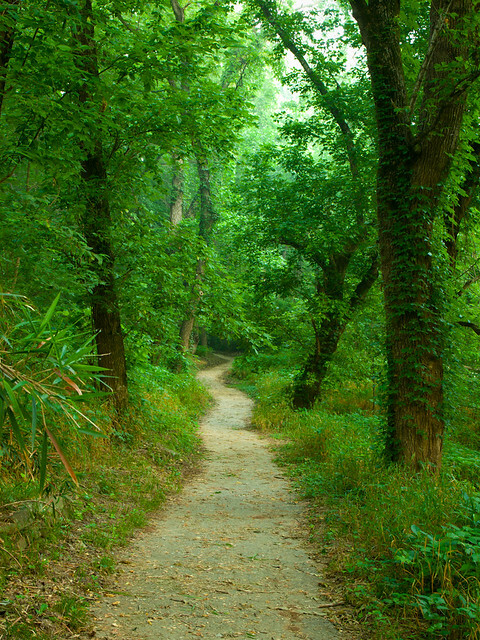 Which would probably send me straight down into the muddy waters of Cadron Creek below. Luckily everything held up, and we were able to explore the bridge. But it is in pretty bad shape - no telling how much longer it will last. It would be a shame if the bridge became too unstable to cross. 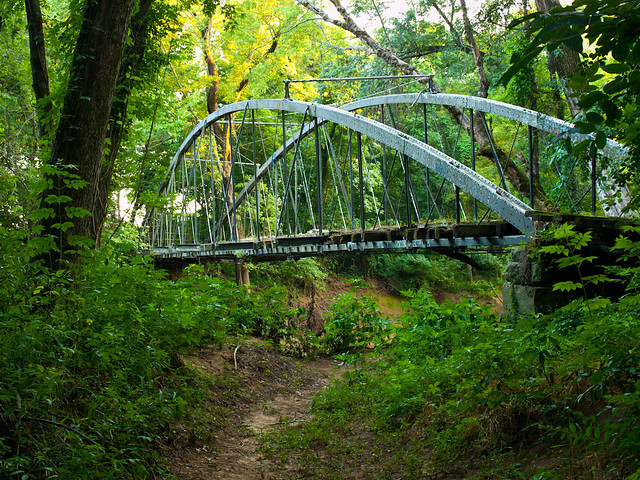 It really is a neat old bridge to visit, and it is a great location for taking pictures. Hopefully it can somehow be preserved. On the way home, we stopped to get a few pictures of this old barn. 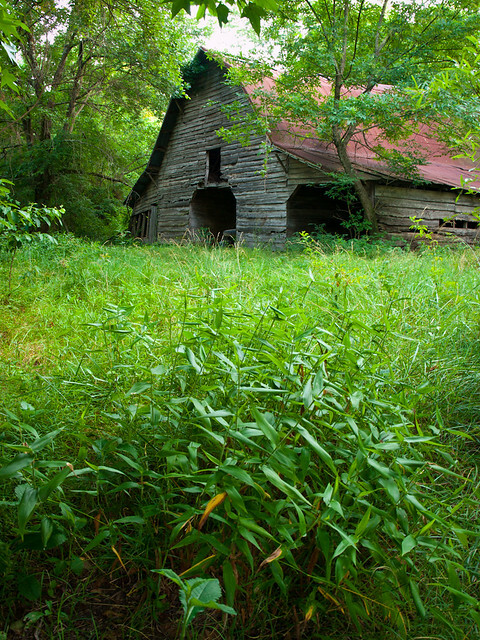 The area around the barn was overgrown, and was surely home to countless ticks, chiggers and snakes. I headed off to visit the Junction Bridge last week, just after a summer thunderstorm had passed over. It was still raining, but it was light rain. It wasn't enough to soak anyone foolish enough to be out taking pictures, but it did result in a few occasional drops of water on the front of the lens. My birthday was last weekend. So in honor of my life slowly spiraling down the drain of being a "30-something," I wanted to do something fun. 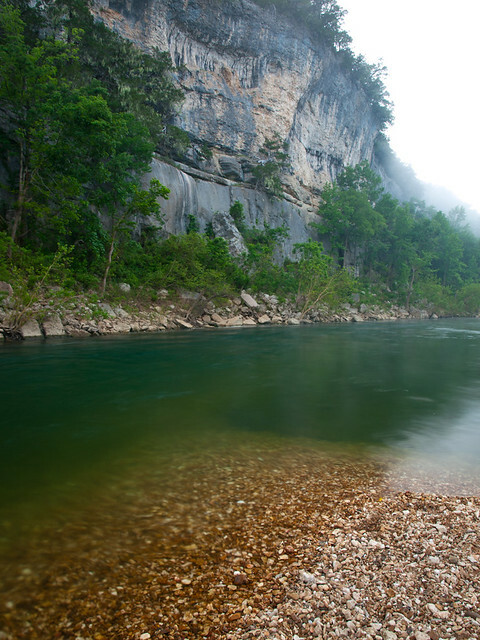 As the big day approached, I made plans with my cousin for a float trip on the Buffalo River. My Aunt and her friend joined in, and we tried to all meet up at Tyler Bend on Friday. Since this trip involved three Cormacks, the worst of the family luck bubbled up to the surface. The weekend would turn out to be incredibly hot - with highs in the upper 90s. Perfect camping weather! I took off work on Friday so I could get up to Tyler Bend early enough to claim a camping spot. Last time I tried to camp along the Buffalo River on this weekend, the campgrounds were all full. I managed to get up to the Buffalo before noon, and luckily there were a few vacant campsites left. But most of the good ones were taken, at least, any campsite with a decent amount of shade. I claimed one, and then languished in the hot temps. Luckily the river was nearby, and the water was cold. My family arrived in the evening, and we got our collection of tents set up. Things cooled off considerably after the sun went down, and it actually got a bit chilly overnight. I woke up around 5:30am on Saturday morning, and peered through the tent. A heavy fog had drifted over our campground. What to do? Go back to sleep, or try to get a few pictures? I sleepily hauled myself out of the tent and got the camera. 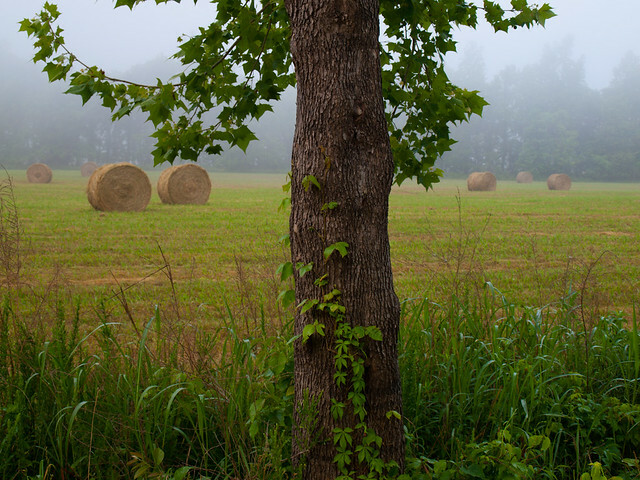 As much as I dislike being awake this early, it was good conditions for pictures. I walked over to the river, which was still and silent in the early morning fog. The only thing making noise were a few birds, and the crunch of my feet walking along the rocks by the river. I strolled along the river, trying to find a good spot to get a picture of the fog and the bluffs. 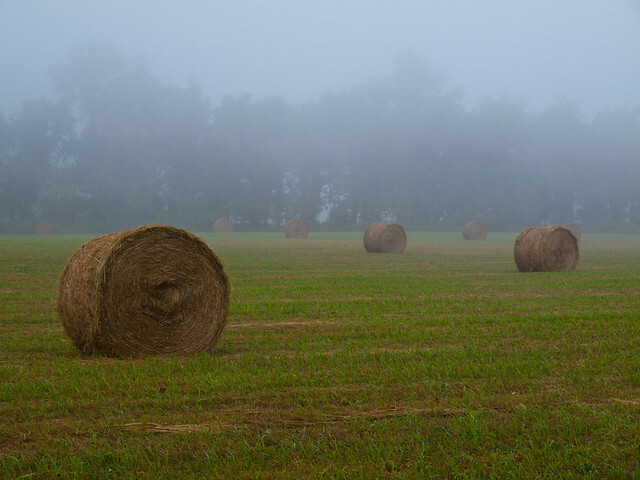 Next I walked over to a nearby field, where a few hay bales were sitting amongst the fog. I made it back to the tent, and was able to take a nice little nap. A few hours later, we were at the canoe outfitters. After waiting for a few bus loads of people to be carted away, we were driven to the put-in for our float - Baker Ford. From there we would float for about six miles to Grinders Ferry. I wasn't brave enough to take my camera onto the canoe. Instead I bought one of those waterproof disposable cameras (for $8 at Wal-Mart). The camera didn't take many good pictures, and it cost almost $15 for it to get developed. This didn't make me miss using film. The crappy disposable camera only had 27 exposures on it, so I ended up paying about a dollar for picture, and all the shots were grainy. We took our time and lazily drifted down the river. While it was hot, I didn't seem to feel it while being on the river. 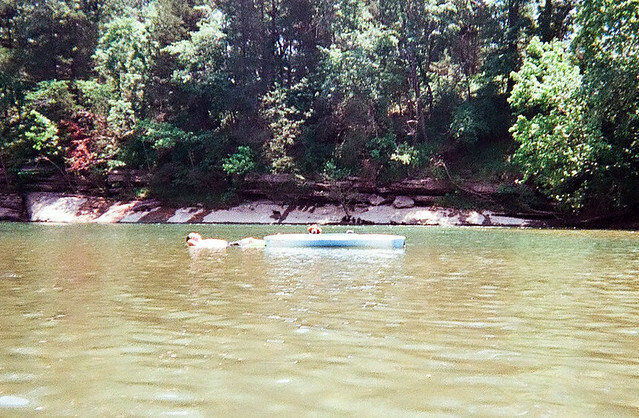 Although I ended up getting an awful sunburn, it was a perfect day on the Buffalo River. I was sad when we eventually reached the end of the float (we were out of beer, anyways).